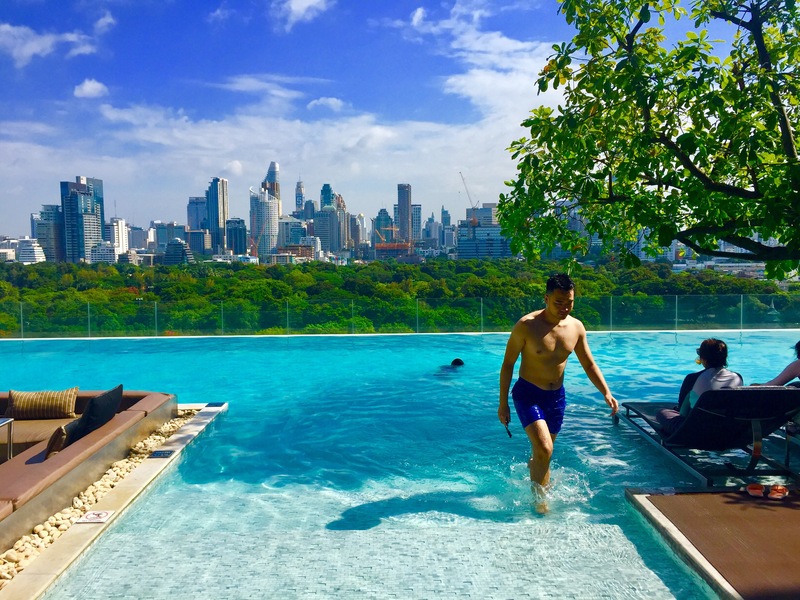 You only see endless water, the lush Lumpini park and it’s lake. And far behind; the magical urban Bangkok skyline. 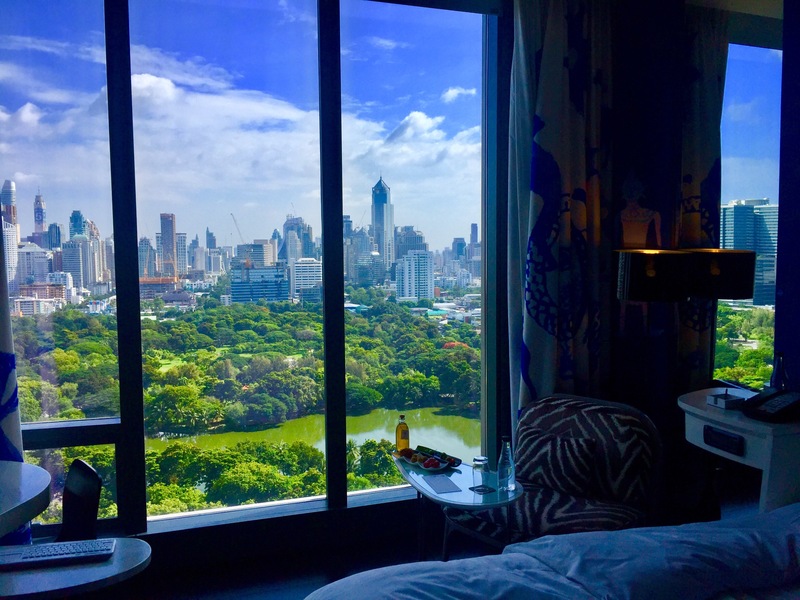 Inaugurated in 2012, SO Sofitel attracts a trendy crowd of fashionistas and design freaks, chocolate lovers*, sun bathers and couples wanting to enjoy the warm hearted service and views over the Lumpini park and Bangkok skyline. 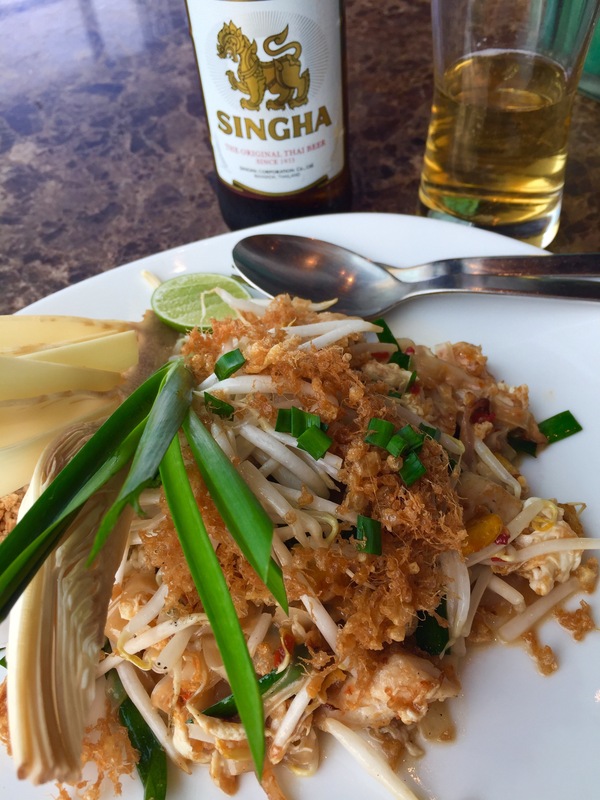 Both restaurants, bars and – not the least – rooms, offer the best views of Bangkok. Some come for the stunning and sumptuous Christian Lacroix design, including the staff’s magnificent uniforms, also by Lacroix. But don’t forget that this urban outpost and conceptualized universe is created by a large number of other famous architechts and designers as well. 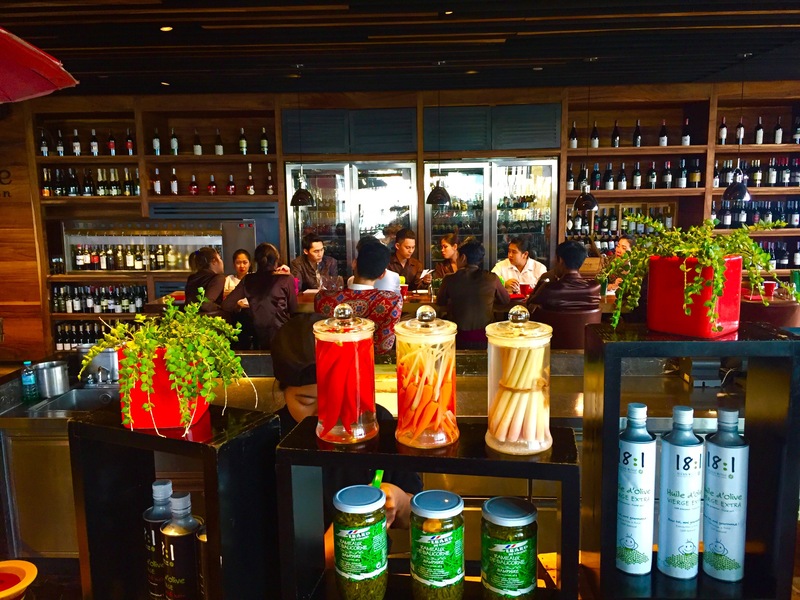 All SO Sofitel Bangkok is spinning around the five asian elements; earth, water, fire, air and wood. 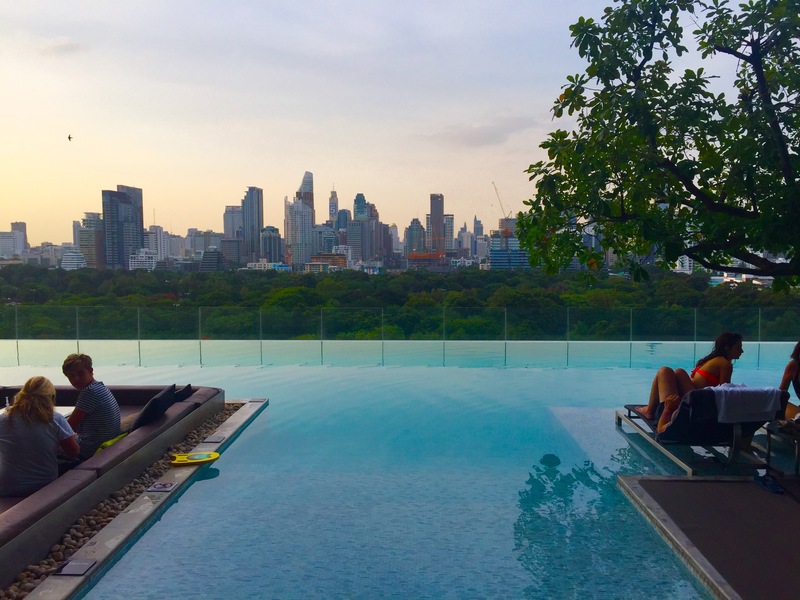 But first and foremost, there is my favourite: the SO Sofitel infinity pool: cool and turquoise, decorated by flowery bushes and a large ﻿tree. 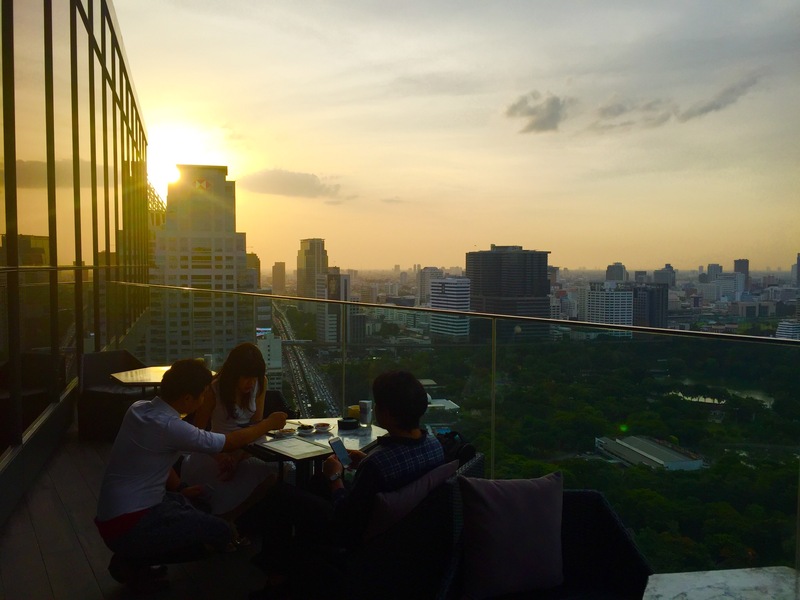 Thanks to it’s location on the 10th floor, it stretches all along the Lumpini-park-side. 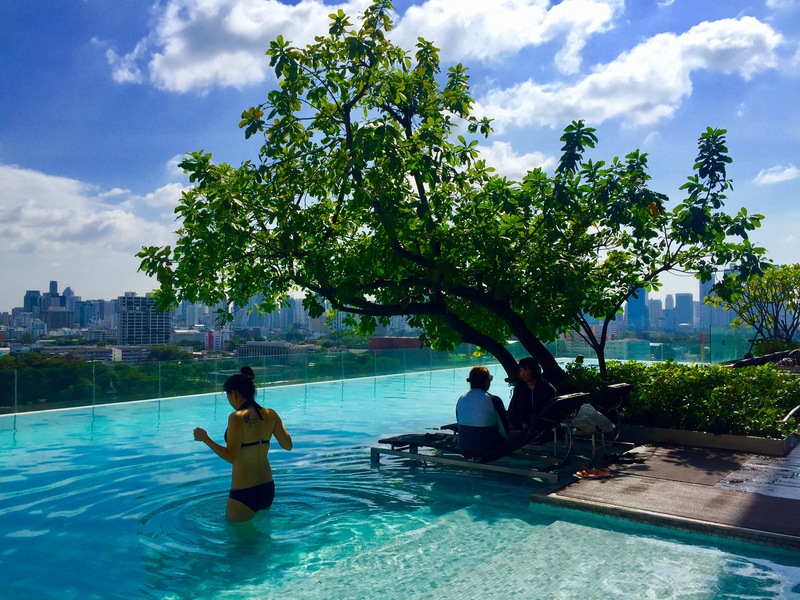 The pool magnetizes visitors and sun lovers from all over the world. 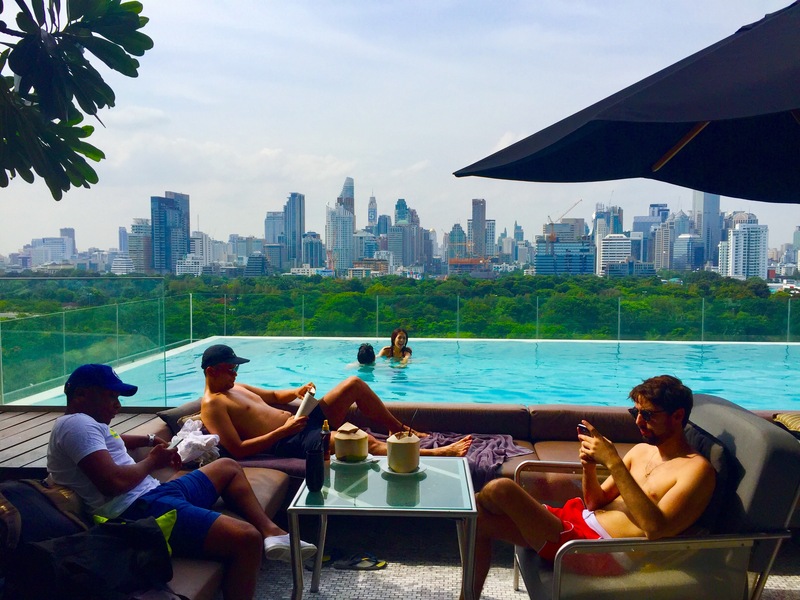 Locals – a handsome bunch from the Bangkok high society – are invited to the monthly and famous SO Sofitel pool party, taking place in and around the infinity pool and garden areas. Hotel guests are of course always welcome to join the party. 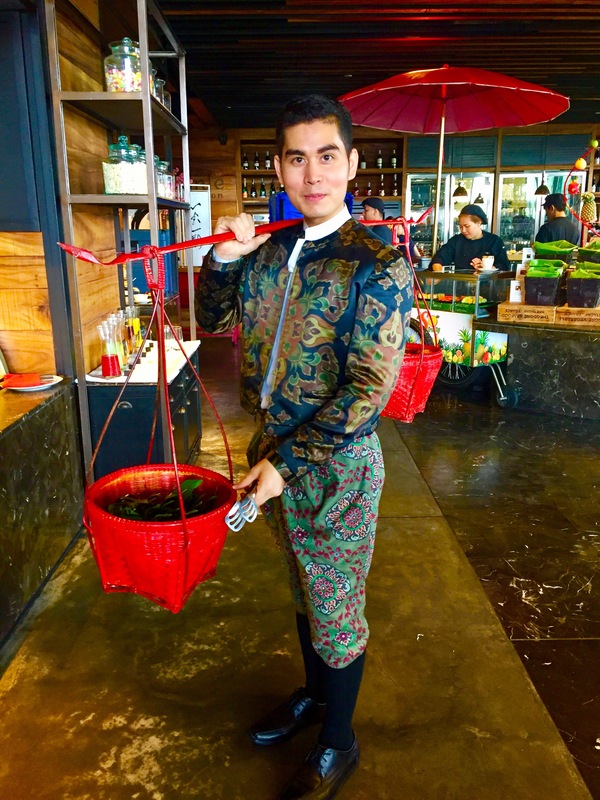 Thai, tribe and zoological design influences mix with modern art and siam traditions in this vivid universe of it’s own; SO Sofitel is an eclectic haven of colour, funny details and thai food market elements. It could have ended up horribly pretentious, but the result is an adorable fantasy; young, urban and homely. I am already planning my next visit. * Chocolate lovers may participate and create in the Chocolate Lab, eat as much as they can possible manage – or enjoy designed pralines in the coffee shop. Sounds magical! As a chocolate lover I would head straight for the chocolate lab, for sure!